A few years ago the first .io game, Agar.io was released, you may have heard about it. Heck, if you are anything like me, you have probably wasted an embarrassingly large amount of time playing it. Perhaps it is your guilty pleasure, only to be played in the darkest corner of the office. Well, without even knowing it, you are an io gamer. What Made Agar.io so Popular and why were you Addicted? Agar.io was an ingenious game in its construction and design. The developer Matheus Valadares, really hit the viral nail on the head. Even YouTubers like PewDiePie were playing it. We all know that kids and even adults are starting to develop extremely short attention spans. They are perfect for consuming tiny portions of data like Youtube videos and short blog posts, but terrible for retention requirements over 15 minutes. Plus as social creatures, games are always more fun when you are playing against a human opponent. Therefore, it makes sense to create a game that caters to those criteria, which is exactly what Matheus did. The pure simplicity and ease of access mean that when you get the urge to play, there is nothing to stop you. No horribly long loading sequence, no obscure game mechanics to learn, just pure unadulterated instant gratification. And therein lies the magic that had millions of people addicted. Obviously, that level of success does not go unnoticed. Slither.io: Queue the Real Addiction. Speaking from personal experience, the world of game developing can be a dark and lonely one. You spend your days and Redbull fueled nights, coding awesome features that you are convinced will draw people. Launch day comes and goes, leaving you scrambling to find ways of attracting players. So when a crazily simple game like Agar.io takes the whole world by storm, you want in. I can only imagine that was the draw for Steve Howse, the developer of Slither.io. Steve Howse took the simplicity behind Agar.io and wrapped it in a beautiful skin. The results dwarfed Agar.io and Slither.io really set the standard for all games that followed in its footsteps. Consequently, the growth of Slither.io was so quick that Steve struggled to keep up, as he explained in an interview on WSJ. 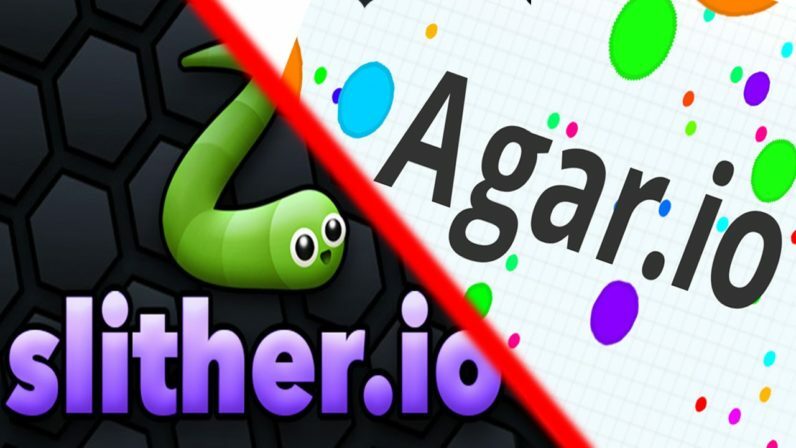 While Agar.io and Slither.io enjoyed the fame, a flood of developers recognised an opening in the gaming market and started to produce similar games. These games all share in the mantra of simplicity and ease of consumption. And as their predecessors used the .io TLD for the availability of dictionary domains, so did they. As a result of more games being released, sites like Miniclip, began to categorise these games under the title of .io games. Thus, a new gaming genre was born. To date, there are over 100 .io games. Some, like Diep.io, are extremely creative and fun, while others are poor clones. Where are .io Games Going? The .io games market feels very much like the early emerging mobile gaming market. Just like mobile games, .io games seem to be filling a void for consumers. But how far can a new genre grow amidst an already saturated games market? Honestly, I have no idea of the full scope of this new genre. One thing is for sure, it has been gaining a lot of traction. We have seen the new .io games topping the mobile markets and some are even breaking through to consoles ( Squadd.io). Only time will tell how wide it spreads and what will happen next.